The Postal Service is looking to replace the middleman that sets the prices for its products, requesting instead that it hold the power to set rates on its own. The proposal would eliminate the rate cap set by the Postal Regulatory Commission since 2006, put in place to protect USPS customers from the monopoly to which the agency is statutorily entitled for certain products. The Postal Service said the forces of the market -- namely continuing mail volume declines -- are sufficient to ensure the agency does not unfairly raise prices. Large private sector mailers have argued any entity with a government-protected monopoly cannot be trusted to set its own rates. USPS, however, said the price-cap set to increase with inflation does not keep pace with market forces. The agency argued in comments to the PRC that it is not covering its costs despite significant efforts to increase its efficiency, including through workforce reductions, plant closures and hours cuts at post offices. A 2006 law called on PRC to reexamine the pricing structure after 10 years, setting up the current debate. USPS said its regulators should consider the constraints Congress inflicts on the agency in making its decision. 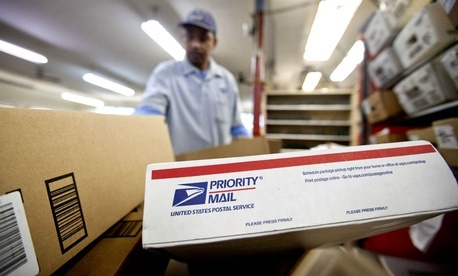 The Postal Service has high labor costs due to its universal service obligation, the agency noted, and is legally required to provide its employees extensive benefits. PRC should also factor in the Postal Service’s inability to make capital investments, management argued, and give it enough of a cushion to withstand “adverse marketplace conditions.” USPS said it should be able to use its rate hikes as a tool to combat declining volume. With the Postal Service losing billions of dollars annually, it argued PRC “cannot rationally conclude that the current system is even coming close to achieving” its objectives. Linda Thomas Brooks, president and CEO of the Association of Magazine Media, accused the Postal Service of “talking out of both sides of its mouth” by guarding its monopoly while requesting more pricing authority. Stephen Kearney, president of the Alliance of Non-Profit Mailers, questioned the poor state of finances the Postal Service is alleging. “The Postal Service wants to raise rates faster than inflation because it says its finances are upside down,” Kearney said. “But our expert analysis shows that USPS is actually in good shape and in fact has made an operating profit for each of its last three fiscal years.” Recent USPS financial reports have shown improving fiscal footing for the agency, with losses stemming primarily from a congressional requirement to prefund retiree health benefits that are increasingly offset by growth in package revenue. The Postal Service dismissed those claims, saying even with its efficiency efforts and reform legislation in Congress it could not return to profitability without more control over the prices for its products. The Postal Service conceded PRC should still monitor its rates, costs, efficiency and service performance. It said the forces of the market would protect it from raising rates too dramatically. “There is simply no basis to conclude that the Postal Service would either choose to set prices at excessive levels, or would feel free to lessen its efforts to cut costs and improve efficiency, if a price cap was not in place,” the agency said. Postmaster General Megan Brennan argued in a congressional hearing this year that USPS should have the authority to set its own prices, but lawmakers declined to provide it. Instead, the 2017 Postal Reform Act -- which overwhelmingly passed the House Oversight and Government Reform Committee and is awaiting action on the House floor -- would give the PRC until 2018 to review how the pricing structure should be set going forward. It would also compel the PRC to consider factors such as financial stability, customer experience and delivery timelines in making its determinations.